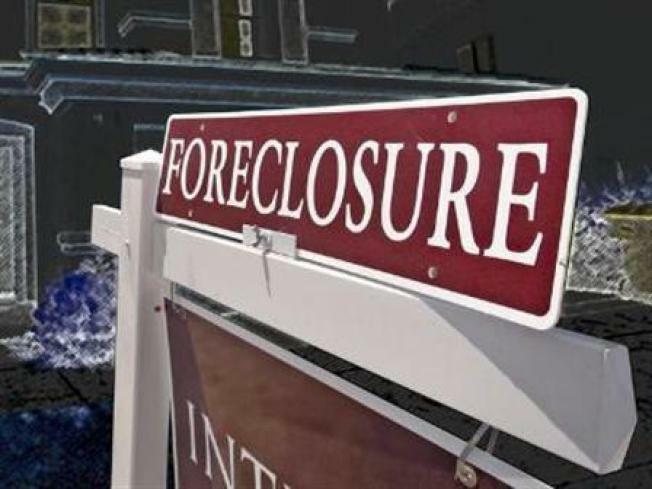 Will Obama's plan actually help slow down the foreclosure rate and keep people in their homes? As the Obama administration prepares to commit up to $50 billion in help homeowners avoid foreclosure, there are significant concerns about the strategy to contain a wildfire problem that is delaying the recovery in housing and perhaps the broader economy. Analysts and industry members point to the shortcomings of a patchwork response with sometimes conflicting measures as well as the shortcomings of three high-profile programs with significant political support. First and foremost, some say there are simply too many initiatives. In addition to existing Fannie Mae and Freddie Mac efforts to ease foreclosure, there is the Hope for Homeowners program—now being reworked—and the FDIC-conceived IndyMac, now being expanded. Private lenders have their individual programs, while many of them are also participating in the Hope Now coalition effort. Still more initiatives are in the pipeline. Pinto estimates some 35 million of the 55 million existing mortgages are essentially in the government's hands, which means Washington will have its hands full. Pinto is forecasting 8.8 million foreclosures in the next few years. That’s roughly consistent with the FDIC’s estimate of 4-5 million in the 2009-2010 period and what’s likely to be two and a quarter million in 2008. “You need to have a special purpose organization which is isolated and has a sole mission, which means you have to build a new bureaucracy,” says Alex Pollock, who was CEO of the Chicago Home Loan Bank and is now at the American Enterprise Institute. Experts continue to point to the success of the Depression-era Homeowners Loan Corp, which had an 80-percent success rate in modifying 1 million mortgages and was profitable when dissolved. That mix and match approach is borne out by the variety of approaches now being used, from interest rate reductions, to principal write-downs to forbearance to extending the term of the loan. Here’s a closer look at three approaches attracting the most attention. The loan-modification program in use at the thrift was put in place by the FDIC, which ran the company after the government had seized control amid a run on deposits last summer. FDIC Chairwoman Sheila Bair has been an ardent promoter and the program has ample supporters in Washington. Rep Maxine Waters (D-Calif) and Sen. Diane Feinstien (D-Calif) have introduced legislation based on the FDIC’s plan. The program in barely five months old but it has already been instituted at Citigroup (NYSE: c), as part of a new financial aid package from the federal government, and another California thrift. Realists warn, however, that is still too soon to tell if the program is all it is cracked up to. As of Dec 31, 36,400 loan modification offers has been sent out to eligible borrowers since the plan was announced in late August. Of those cases, 23, 600 are still being processed. Another 10,7000 have been modified, which includes a first payment on the new loan. The average unpaid balance on the loans is about $269,000. Three out of four of the mortgages being modified involve only a reduction in the borrowing rate, according to an IndyMac spokesman, who adds that 70 percent of the borrowers “run through the model, pass it” and thus qualify. The average monthly savings in payments is about $400. Under the program, that payment is as high can be as low as 31 percent of gross monthly income or as high as 38 percent. Neither the bank, which is in the process of being sold to private investors, nor the FDIC have released regular re-default data. The FDIC will only say 1 one percent or less fall into “the not being current” category, which could mean anything from 30 to 60 days past due. According to a new analysis by Pinto to be released Thursday, re-default rates may be heading toward an unacceptably high level. Particularly the pending legislation would have the government take up to 50-percent of the loss should the loan re-default. This program was hastily conceived in the summer of 2008 and, as virtually all admit, has been a stunning failure since its launch Oct 1, 2009. As of Feb 3, there have been 451 applications and only 25 loans have closed, while the FHA has taken insured no loans under the program, according to the congressional testimony of the program’s executive director Meg Burns, who oversees its day-to-day operations. “A this stage in the mortgage crisis, program standards that effectively shut out large numbers of families in trouble may only perpetuate the foreclosure crisis,” Burns told Congress. House Financial Services Chairman Barney Frank (D-Mass) has engineered a significant overhaul of H4H, containing more liberal and less costly eligibility requirements for borrowers as well as more favorable terms for lenders and the firms that service loans. One important change raises the maximum loan to value, LTV, ratio from 90% to 93% for borrowers above a 31% mortgage debt to income ratio, which reduces the write down lenders have to take. The assessment in and out of government is positive. That’s because the new terms eliminate government profit-sharing of appreciation over market value of the home at time of refinance, reduce participation fees and waive key documentation requirements such as two years of tax returns. “The program is still quite complicated,” says Tomasz Piskorski of the Columbia Business School. Piskowski, Morrison and Christopher Mayer, a vice dean at the business school, are pushing a plan they co-authored; it calls for subsidized interest rates as well as financial compensation and legal protection for loan servicers, which they estimate will prevent a million foreclosures alone at a cost of $10.7 billion. Morrison says H4H needs more explicit legal protection for services written into it, rather than have it contained it a companion bill. Though most say H4H has been vastly improved, analysts say a fundamental flaw remains—that lenders must initiate the process. The single most important thing is that you make it that the borrowers ask for help, not the lenders,” says Pollack. For more than a year, Sen. Richard Durbin (D-Ill.) has been pushing so-called “cram down” legislation, which essentially allows homeowners to avoid foreclosures by modifying mortgages through bankruptcy court. The legislation would essentially let borrowers modify their loans through the Chapter 13 bankruptcy law. Judges could lower the interest rate reduce the principal, change the length of the mortgage or any combination of the three assuming the bowers can prove they tried to renegotiate with the lender. Though it has some support in Congress and consumer groups, most in the legal and lending business adamantly oppose it. The biggest concern is that it empowers judges to invalidate contracts, which some say will prompt lenders to add a risk premium to loan rates. There’s also a more immediate practical concern. “Whatever else it does it will overwhelm the bankruptcy system,” says Pinto, echoing a common concern. The cram down gained momentum recently when Citigroup broke ranks with the rest of the industry and agreed to support the idea, but that was seen as a necessary concession given its reliance on government aid. Opponents say the bankruptcy court approach may appear to be less costly and promise a greater chance of success but that is deceptive. “The cram down is very destructive in that consumers can be misled mislead and think, “All I have to do is file bankruptcy,’” says Courson of the MBA. The chapter 13 approach would also entail a big reduction in principal at the beginning based on the home’s current value, which analysts say makes it less attractive to lenders. Opponents, however, say the cram down model may work for a small group –people without savings, but they worry that it will compete with more conventional programs such as H4H and pit borrowers vs. lenders. “You would hope banks would want to dump mortgage for an immediate payout versus chapter 13,which means years of payment. Durbin’s cram-down bill as well as Frank’s H4H revamp may wind up in an omnibus-spending bill Congress could take up soon. Frank Wednesday asked top banking industry CEOs to impose a moratorium on foreclosures ahead of the Obama administration foreclosure plan due in about two weeks. That is widely expected to contain some measure to lower mortgage rates, whether through a government subsidy or indirect pressure on market rates. Some say it may also have to address foreclosure mitigation for under-water homeowners. About one in five are thought to hold mortgages worth more than the price of the home. An interest-rate reducing mechanism—pushing rates on a 30-year mortgage to 4 to 4.5 percent on a 30-year—has been long awaited and would highly welcome in the real estate industry, but only the most optimistic think it will make much of a difference. Some say time is clearly running out.